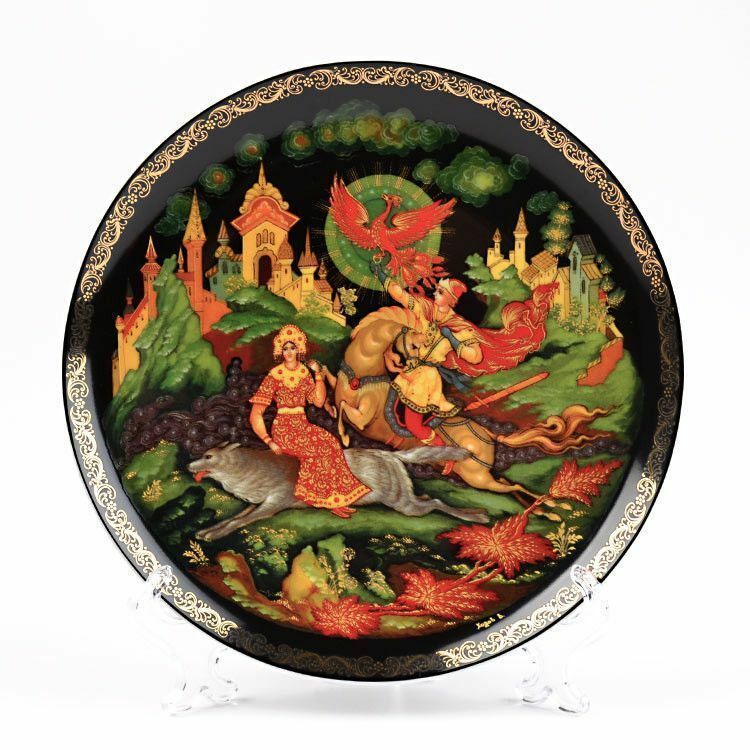 This pretty little plate illustrates the Russian fairy tale "Tsarevitch Ivan & The Grey Wolf" with vibrant colors and tiny details. 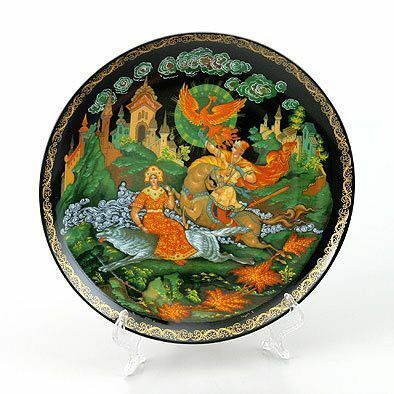 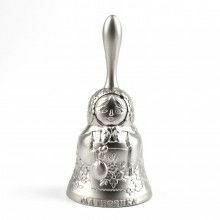 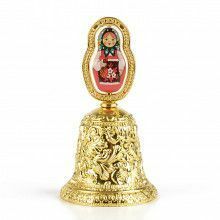 It is a wonderful art piece, souvenir, and Russian fairy tale collector's item. 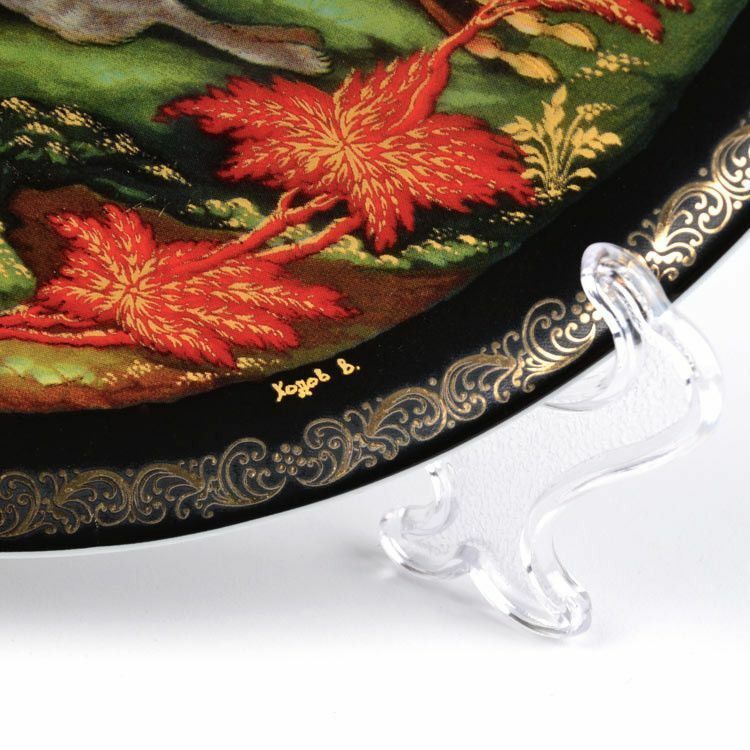 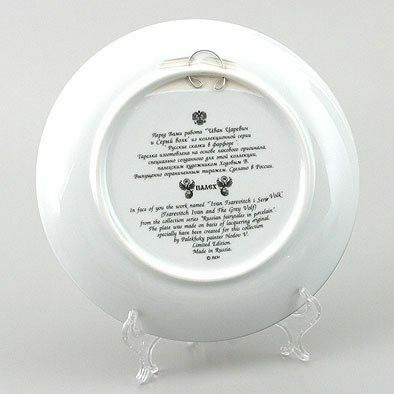 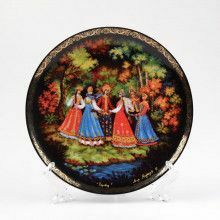 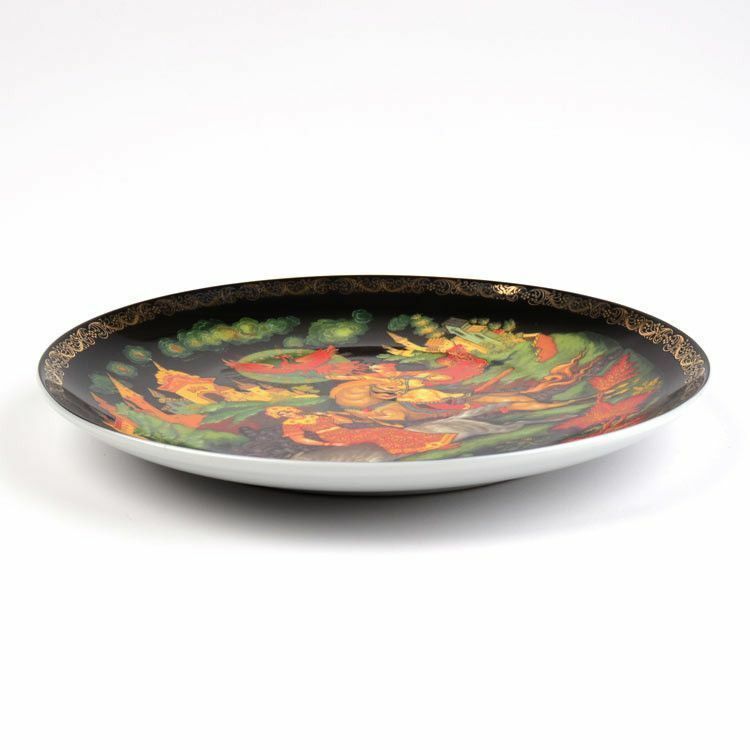 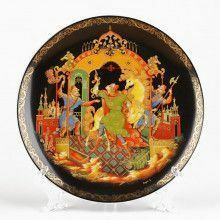 This decorative porcelain plate includes a stand (clear plastic) and a wall hanger (metal hoop on back) for display, and it ships in its original Russian box. 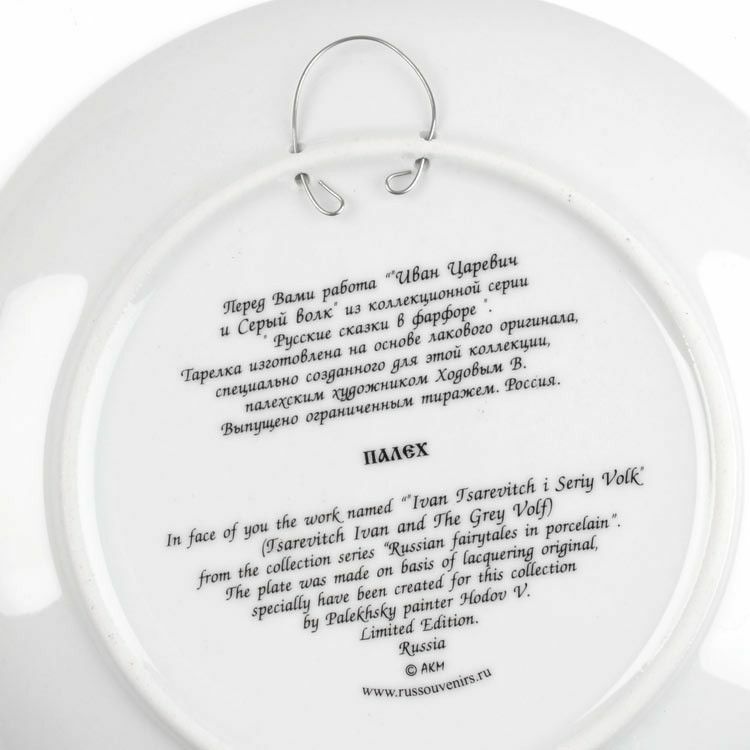 Get yourself a limited edition collection plate from Russia today! 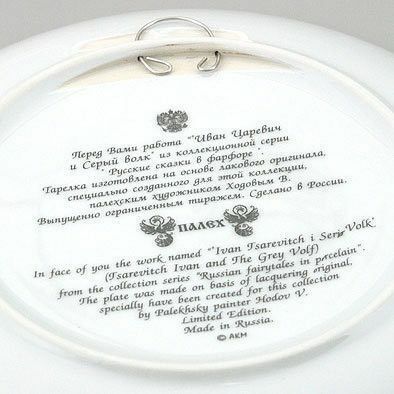 Artist Hodov V.